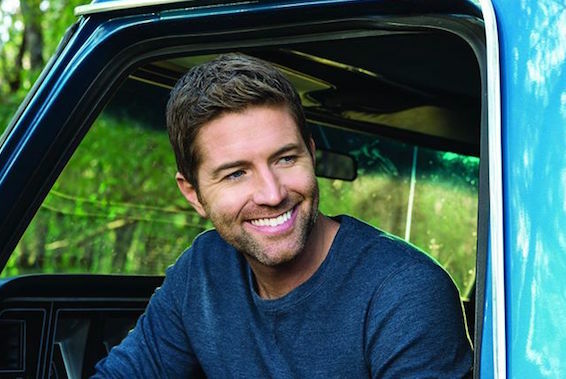 Josh Turner’s trademark deep vocals are in fine form on Deep South, his new album set for release March 10 on MCA Nashville. On Thursday, Feb. 2, at Nashville’s Eugenia Hall studio, Turner previewed his first new music since 2012. It’s a project that blends today’s radio-ready country with the traditionalism that drew fans in the first place. Six albums into his career, the multi-Platinum singer looks like he hasn’t aged a bit. Performing with his band in-the-round, Turner invited songwriters who contributed to the new album to join him onstage for the stories behind the songs, many of which he was hearing for the first time. Lead single “Hometown Girl” shows Turner veering into new territory, but not so far that he leaves longtime fans in the dust. He recalled the first time producer Kenny Greenberg played the song for him: “It was different for me, but it definitely felt like a hit.” (Indeed, the song is No. 6 on MusicRow’s CountryBreakout chart.) Written by Daniel Tashian and Marc Beeson during a session at the Big Yellow Dog offices, the co-writers recounted Tashian handling most of the melody and Beeson parlaying his sharp wordsmith skills into a song inspired by a high school crush. With multiple producers on Deep South, Turner’s longtime collaborator Frank Rogers worked studio magic on the title track. A solo-write by Turner, the fun song checks off all things Southern, from fried chicken to shuckin’ corn. Al Anderson, Brandon Kinney and Ben Daniel talked about their sunny tune “Where The Girls Are.” After a stalled attempt at penning a Stevie Ray Vaughan-style song, they chased down a title inspired by Kinney’s preschooler son, who loves to chase girls. On the upcoming album, Singleton contributed the cut “Southern Drawl,” written with Andrew Dorff, who passed away in December. Singleton came up with the idea about hearing the words “I love you,” in a “sweet, soft, slow, Southern drawl.” Turner recalled the first time he met wife Jennifer, and hoping that when he heard her speak a drawl would spill out. Turner closed with “Why Don’t We Just Dance.” He said, “This song has sent a jolt of electricity through every crowd we’ve played it for.” That evening was no exception.